We recently moved into our new home in Seattle’s Greenwood neighborhood. The house is in good condition and has all the features we wanted (fenced-in backyard, garage, three bedrooms), but it lacks character. Everything is all kind of the same cream color, and all the closets and baseboards are a dated dark wood. It’s a rental, which means I don’t want to do a lot of painting that I’ll just have to paint back in 18 months. So, I’ve taken to Pinterest for inspiration. Here are some of my favorite pins. I want a bold accent wall in our living room, and this would really liven up our neutral toned furniture. Instead of making my own circles, I found these for an even quicker project. If I’m going to take the time to paint one room, it’s going to be our bedroom. I want to walk in and just feel immediately relaxed. This pale mint makes me think of the beach. 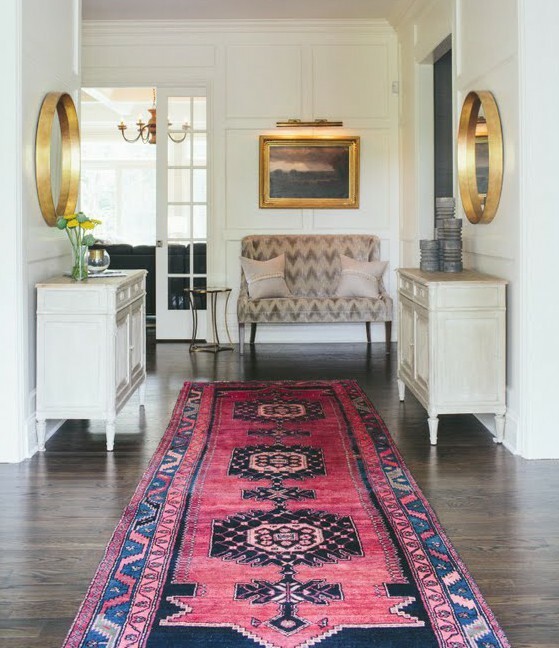 This funky Turkish kilim adds a ton of character to an otherwise simple space. I also love the bold gold mirrors, which I could easily mimic with thrift store finds and some spray paint. Any excuse to visit Value Village! I hope that by incorporating mis-matched and vintage furniture, I can create more personality within our home. We’re setting up one of the rooms as an office, and I like the idea of a big chalkboard for brainstorming and organizing projects. 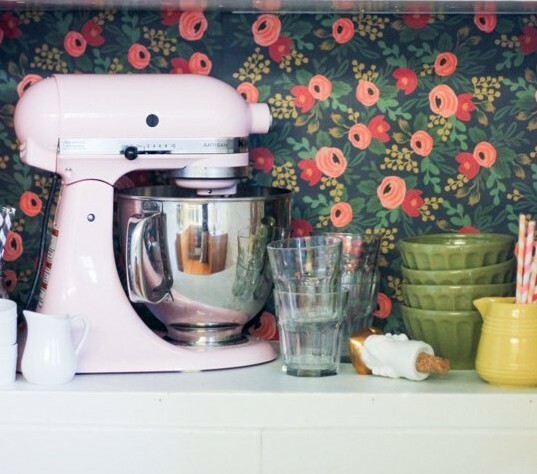 This is an Ikea “hack” that seems simple enough to execute. 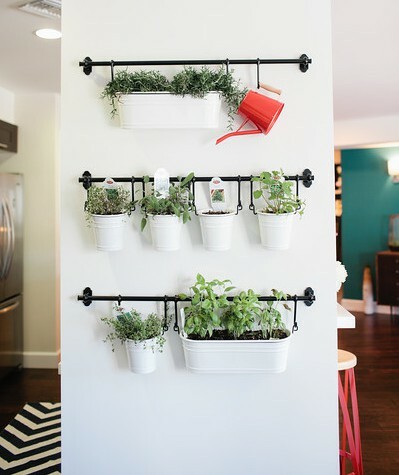 Greenery always livens things up, and fresh herbs year around would be wonderful. Assuming, of course, that I don’t kill them off in the first few weeks! These bold stripes are striking. I can see them being a real focal point in our living room. 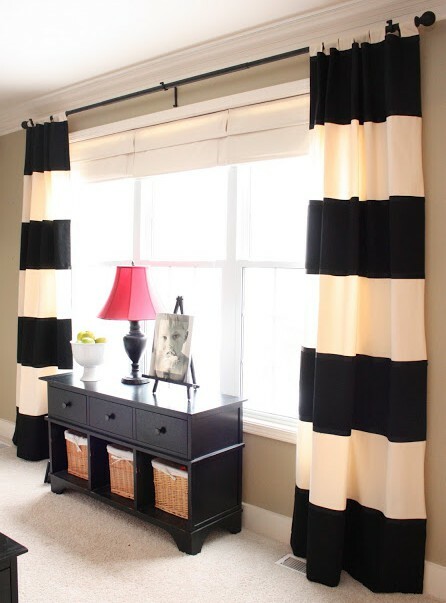 Plus this is another DIY project that seems easy enough for me to attempt. I can’t paint our kitchen cupboards, which are the same dark brown as the closets. I’m hoping that using wrapping paper (or contact paper) to line the back of my cupboards, will help update things. This week I’m wrapping up a couple painting projects, which I’ll share if they’re successful. Do you rent? 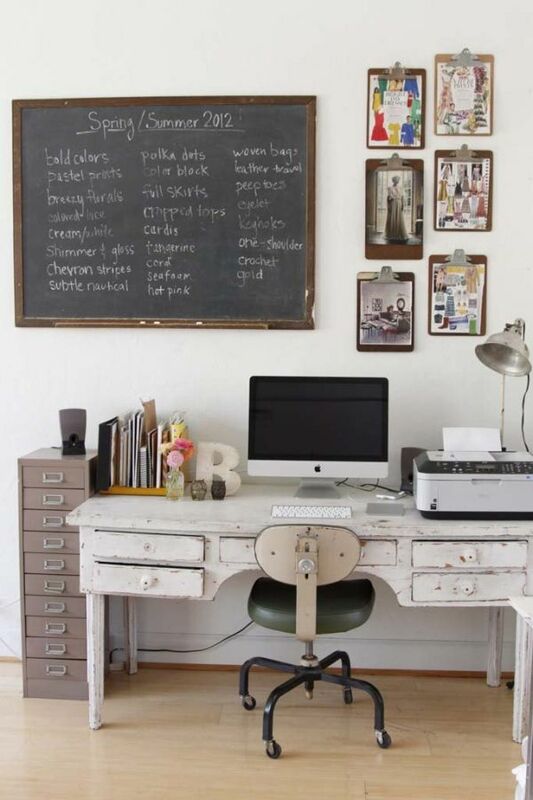 What are your tips and tricks for decorating a space with limited permanent changes? If you’re on Pinterest, check out my “New Home” board and our “Art & Interiors” board. Thanks. We must both have a thing for bold stripes! OMG! You live right by me. I love Greenwood! I live near Bitter Lake. That’s just north of Greenwood. We need to schedule our blogger meet up soon. Good luck settling into your new home. I hope your painting projects work out so I can see them on the blog. Nice! Do I have your email? Let’s definitely plan something. I would love that. Be sure to include Mil too. Here’s my personal email halla2@spu.edu. Thanks!